Justin Bieber was pretty impressed when he did a special acoustic concert/meet-and-greet with a group of 20 Make-A-Wish kids, including one girl who brought along a totally unique bit of homemade Biebs merchandise. 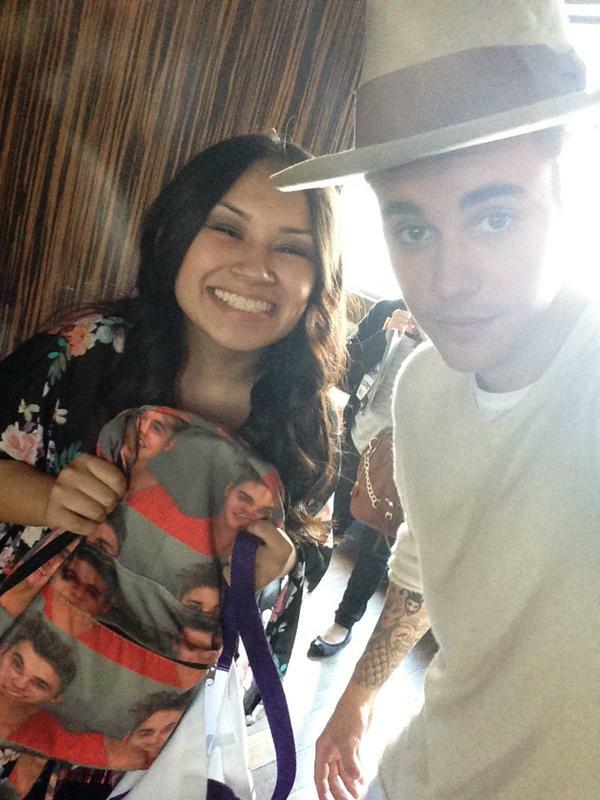 One fan brought custom JB backpack and he totally dug it! The fan, Ilia, had a custom backpack covered with pictures of Justin and she wasn’t sure at first if it was a good idea to bust it out. Justin even shared some knowledge about a Bible story that goes along with her Belieberpack. “Justin did like my backpack. He even told me a story that goes with the bible because of it. My back pack shows that I will love him through all the bad times too. Don’t take it the wrong way,” she wrote on her Twitter account. 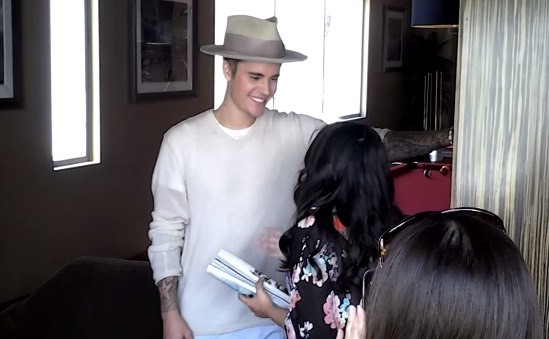 WATCH ALL VIDEOS BELOW: Justin Bieber Make-a-Wish Foundation – May 27th. Awww! 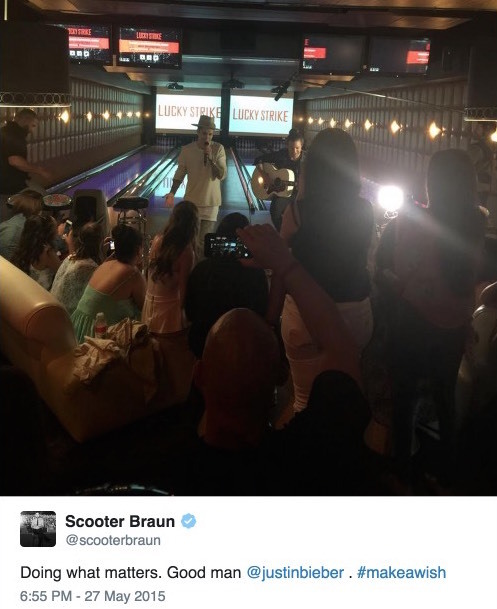 That’s sweet of Justin to take time and make his fans feel important. He’s such a good sweet guy. It’s a shame people judge him so much. He’s very dedicated to his fans.